A series of underground gas explosions ripped through and devastated the port city of Kaohsiung, Taiwan&apos;s second largest city, late Thursday, killing at least 24 people and injuring 270 others. Believed to be the nation&apos;s deadliest gas explosion, the blasts started around midnight and tore through paved roads, catapulted cars into the air, propelled cement rubble at passers-by near a night market and set entire blocks, including shops and apartment buildings, ablaze.The streets, left with wide, yard-deep trenches down the middle, were strewn with bodies, vehicles and debris. 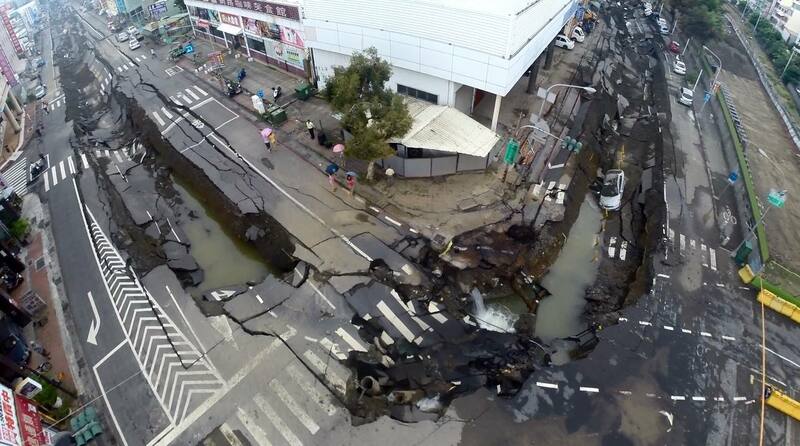 The five explosions came three hours after a gas leak was reported on Kaixuan Road. Emergency services, however, were unable to locate the source of the leak. "Last night around midnight, the house started shaking and I thought it was a huge earthquake, but when I opened the door, I saw white smoke all over and smelled gas," Chen Qing-tao told ABC news. The 12,000 people who evacuated in fear of more explosions returned on Friday to their devasted homes. According to a statement by the Taiwan Ministry of Economic Affairs, the blasts have also cut gas supplied to 23,600 households, water to 8,000 homes and power to 7,536 homes. Chang Jia-juch, director of the Central Disaster Emergency Operation Center, said the leaking gas was most likely propene, a petrochemical material that is not for public use. He also said that the resulting fires could not be extinguised by water and emergency workers would have to wait until the gas burnt away. Power was also cut off in the area, making it all the more difficult for firefighters to search and rescue people that might be buried in the rubble and dirt. Chen Chu, mayor of Kauoshiung, said several petrochemical companies had their pipelines built along the sewage system in the Chian-Chen district. Around 1,400 soldiers have been dispatched by the military to help with the disaster effort. Taiwanese Premier Jiang Yi-huah announced that all flags would fly at half-staff for three days beginning Aug. 5 in honor of the victims of the Kaohsiung explosion and the Penghu air crash that occured just a week ago. As a country struck by two terrible tragedies in just one week, Taiwan is likely looking at a long road to recovery, both physically and emotionally.